Primary and Secondary Crushing of Hard rocks, ores and Minerals including Lime Stone, Dolomite, Granite, Iron Ore, Chromite Ore, Ferro-alloy slag etc with a normal Crushing ratio of 6:1. 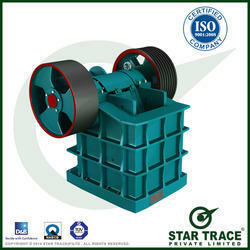 The crushing action take place by impact of swing Jaw against the stationary Jaw. We are successfully meeting the varied requirements of our clients by providing the best quality range of Double Toggle Jaw Crusher. MEWAR’S Double Toggle Grease Lubricated Jaw Crusher is primary equipment for production without large generation of fines. The product has cubical shape and low fines. 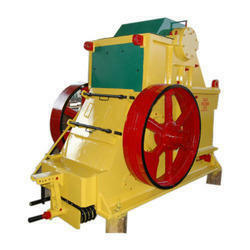 Due to its principle of crushing without rubbing, the size distribution of product is well defined. Keeping in mind ever-evolving requirements of our respected clients, we are offering a premium quality range of Double Toggle Jaw Crusher. The Parishram Industrial Co-operative Society Ltd.